This blog is about installing the WSCAD SUITE within network environments. It provides an overview of the possible scenarios and shows the general procedure. The installation of the WSCAD SUITE locally on a PC or as a network version is described in the “Installation and Licensing” Guide (“Install Guide” for short). This Guide can be found as a PDF in the WSCAD installation directory in the “Docs” subfolder. For integrating the WSCAD SUITE in complex network environments, please contact WSCAD Global Business Services (GBS, gbs@wscad.com). Note: If you just want to operate the hardware dongle on a network server (e.g., license server), you do not need a network installation. In that case, you will need to first install the CodeMeter Control Center on the server and release the network license for the client PCs in the network from there (see “CodeMeter settings during server operation | Enabling the server PC as a dongle server” in the Installation Guide). In addition, the connection to the server must be set up on each client PC via the CodeMeter Control Center (see “CodeMeter settings during server operation | Entering the dongle server on the client PC” in the Installation Guide). The WSCAD SUITE is installed locally on each client PC. The WSCAD data is stored on the Windows server. The WSCAD SUITE is installed on the Windows server. Each client PC has a WSCAD client network installation. The WSCAD SUITE is Installed as a local Installation on a Citrix server. The clients access the WSCAD SUITE via a remote connection. All projects from the Project Explorer; stored in the “Projects” directory. All symbol libraries from the Symbol Explorer; stored in the “Libraries” directory. For example, part database, lexicon, addresses; stored in the “Databases” directory. Logos for frames; stored in the “Logos” directory. Predefined sets of frames and forms for lists and plans; stored in the “Patterns” directory. All project backups as well as the automatic data backup; stored in the “Backups” directory. All templates from the Template Explorer (frames and forms as well as labels and legends); stored in the “Templates” directory. All macros from the Macro Explorer; stored in the “Macros” directory. All macros of the “Project Wizard” Add-On; stored in the “Macros/Project Wizard” directory. All additionally installed plugins; stored in the “Plugins” directory. All 3D data for the three-dimensional view of the control cabinet; stored in the “3DObjects” directory. Changes to these directories can be made in the WSCAD SUITE under Tools | Settings (options) | Directories. The subdirectories are changed relative to the data directory. * Can be modified locally during a client installation with WSCAD admin rights. In this scenario, the WSCAD SUITE is installed locally on each client PC. The WSCAD data is located on the Windows server. It is thus available to all users in the network and is maintained centrally. 1. The WSCAD SUITE is installed locally on each client PC as “a standalone installation” with the “default WSCAD installation settings” (see “Installation on standalone PC” in the Installation Guide”). For the installation, you need admin rights on the client PCs. The user needs Read, Write and Delete rights for the WSCAD installation directory on the client PC. 2. The desired WSCAD data directories (see above) must be moved from the WSCAD installation directory to the Windows server. It is recommended not to change the names of the directories. The directories must be shared for the clients (Read, Write and Delete rights). 3. On a client PC, the data directory must be changed in the WSCAD SUITE (under Tools | Settings (options) | Directories) to the server directory to which the WSCAD data has been moved. 4. The directories for the temporary files and the help files must remain local. 5. On this client PC, the WSCAD configuration settings, including the just changed directory paths, must now be exported via Tools | Import/export settings | Export. All projects should be closed when doing this. 6. These WSCAD configuration settings should then be imported to each client PC. All directories will thus be switched to the server directory. The CodeMeter drivers and the CodeMeter Control Center required for licensing are installed on the client PCs along with the installation. Each client PC contains a CodeMeter container with a local license. The CodeMeter container with the network license is located on any PC that is always switched on in the network (e.g., Windows server or license server). The network license must be released for the network via the CodeMeter Control Center on the server (see “CodeMeter settings during server operation | Enabling the server PC as a dongle server” in the Installation Guide). On each client PC, the connection to the CodeMeter container must be set up via the CodeMeter Control Center. This is done by entering the IP address in the WebAdmin software of the CodeMeter Control Center in the server search list (see “CodeMeter settings during server operation | Entering the dongle server on the client PC” in the Installation Guide). In this scenario, the WSCAD SUITE and the WSCAD data are stored on the Windows server. The WSCAD data is available to all users in the network and is maintained centrally. A WSCAD SUITE update must only be performed on the Windows server. 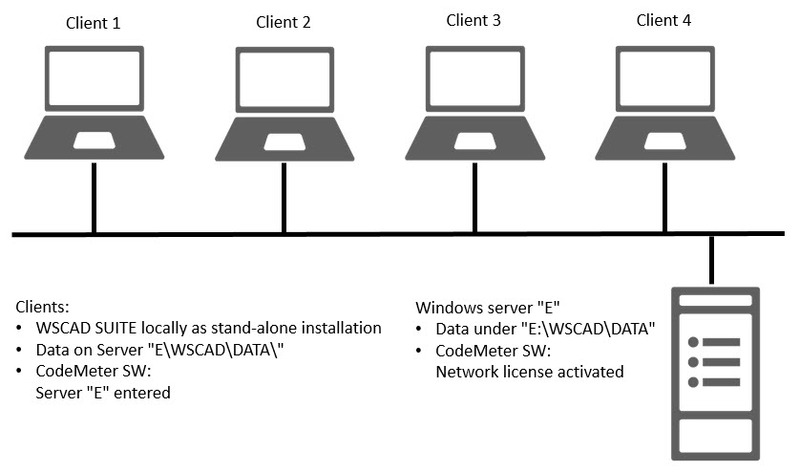 The WSCAD SUITE is installed on the Windows server as a “WSCAD network installation” (see “Installation on server PC” in the Installation Guide). The installation requires admin rights. The WSCAD installation directory must be shared for the clients (Read, Write, and Delete rights). 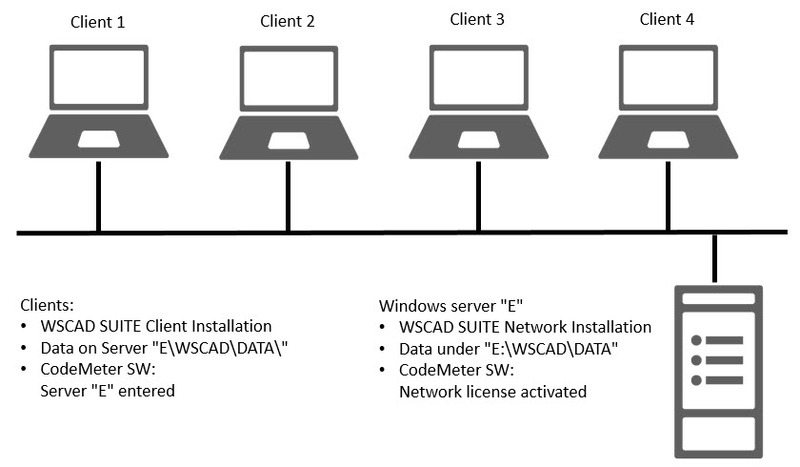 On each client, the WSCAD SUITE is installed as a “WSCAD client network installation” (see “Installation on client PC with admin rights” and “Installation on client PC without admin rights” in the Installation Guide). You can perform this installation with or without WSCAD admin rights. With WSCAD admin rights, users can change not only the user-specific and project-specific settings, but also the program-specific (= application-specific) settings. They can also perform a software update if they have Windows admin rights for the Windows server. 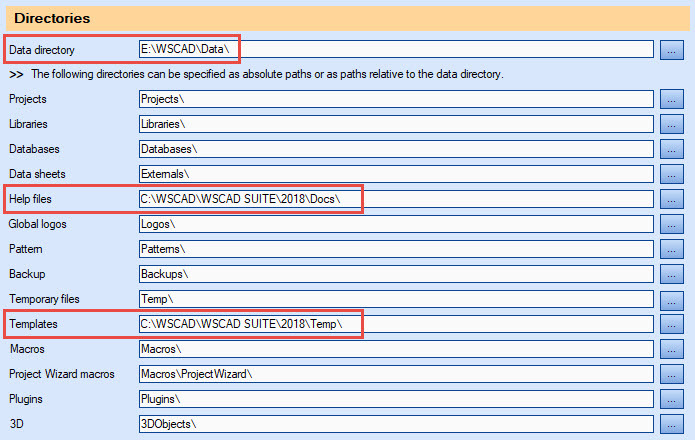 The desired WSCAD data directories (see above) must be moved from the WSCAD installation directory to the WSCAD data directory. It is recommended not to change the names of the directories. The directory must be shared for the clients (Read, Write and Delete rights). On the Windows server, the data directory must be changed in the WSCAD SUITE (under Tools | Settings (options) | Directories) to the server directory to which the WSCAD data has been moved. The directory for the temporary files must remain local. Attention: A client PC on which the WSCAD installation was performed with admin rights can change the directory paths. These changes are stored on the server and then apply to all clients! The CodeMeter drivers and the CodeMeter Control Center required for licensing are installed on the Windows server along with the installation. The CodeMeter driver on the server and the client PCs must all have same status. The CodeMeter container with the network license is located on any PC that is always switched on in the network (e.g., Windows server or license server). When using a hardware dongle in a virtual environment, a dongle server is recommended. The WSCAD SUITE can run as a local installation on a Citrix server. The client PCs set up a remote desktop connection to the server. Via an application, the client has direct access to the WSCAD SUITE on the server. The client works directly on the server from the PC. The basis is a Windows server. This server can also be run as a virtual machine. Remote access must be allowed on the server. A special program for remote access to the server is started on the client. This requires Citrix programs to be installed on the server and client side (Citrix server, Citrix receiver). The connection is made via the ICA protocol. For the best possible functionality, it is recommended that the latest Citrix software be used. The Windows Terminal Server is not supported! 1. The WSCAD SUITE is installed on the server as a “single user local installation”. 2. The Citrix server software is installed on the Windows server. 3. Remote access is enabled on the Windows server. 4. The Citrix client software is installed on the client PCs. The CodeMeter drivers and the CodeMeter Control Center required for licensing are installed on the Windows server along with the installation. The CodeMeter container with the network license is located on the Windows server. When using a hardware dongle in a virtual environment, a dongle server is recommended. The network license must be released for the network via the CodeMeter Control Center on the Windows server (see “CodeMeter settings during server operation | Enabling the server PC as a dongle server” in the Installation Guide). All users are automatically created with WSCAD admin rights, i.e., they can also change program-specific (application-specific) settings in addition to the user-specific and project-specific settings. Furthermore, they can perform a software update if they have Windows admin rights for the Windows server. It is possible to revoke the WSCAD admin rights for all users already created. In addition, it is also possible to create all new users without WSCAD admin rights. If this is desired, please contact WSCAD Global Business Services (GBS, gbs@wscad.com). Some WSCAD databases can be created as SQL databases on an SQL server. 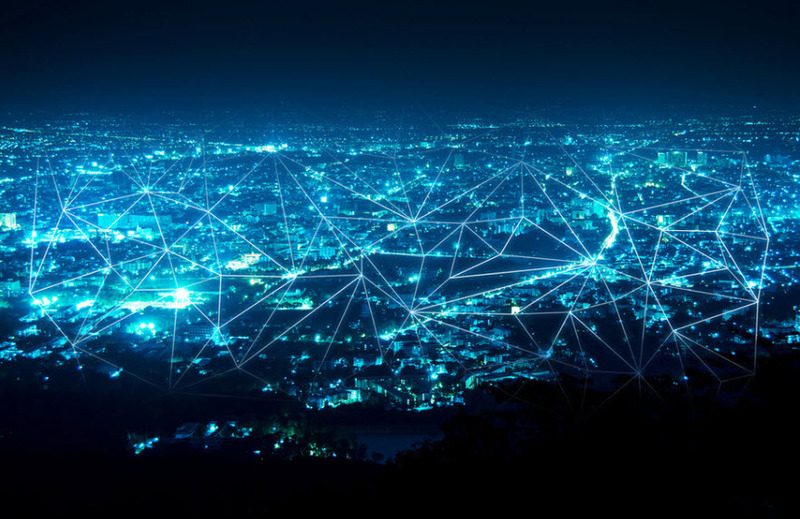 An SQL database on an SQL server performs better on the network than an Access database, especially with large amounts of data and many accesses. In addition, an SQL server can handle search queries faster and offers better options for data backups and interfaces to other databases. This facilitates a connection to an ERP system such as SAP. 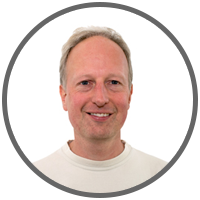 For servers with limited performance, we recommend SQL Express (see https://docs.microsoft.com/de-de/sql/sql-server/editions-and-components-of-sql-server-2017?view=sql-server-2017#Cross-BoxScaleLimits). Faster loading and searching of part data. Faster loading and searching of data points. The SQL databases are stored on the SQL server. The directories must be shared for the users (Read, Write and Delete rights). The switch to SQL databases occurs in the WSCAD SUITE under Tools | Settings (options) | Master data. For virtual machines, hardware copy protection is generally recommended. If software copy protection is to be used in any case, a software container must be set up directly on the virtual server. The network license must be enabled for a virtual environment by WSCAD. This requires an additional signature from the customer. If a hardware copy protection with a hardware dongle is used, it must be connected to a USB port of the server. For failover constellations, where another server serves as a backup, the second server cannot access the hardware dongle on the USB port of the first server. In addition, the connection via the USB port in virtual environments is often problematic and error-prone. Consequently, it is recommended that a dongle server (e.g., from the company SEH) be used in this case. One or more hardware dongles can be plugged into a dongle server. Within the virtual machine, the desired hardware dongle is mapped to a virtual USB port via the dongle server software. Thus, another virtual machine can use a different hardware dongle. Even in a virtual environment, the network license must be enabled on the virtual server via the CodeMeter Control Center, and the virtual server must be entered at the client PCs. In scenario 1, the WSCAD SUITE is installed locally on all client PCs. In the case of a software update, the update would need to be download separately from the Internet on each client. Consequently, it is recommended to first download the update from the Internet to a network directory using one client and then install the update on the other clients from that directory. 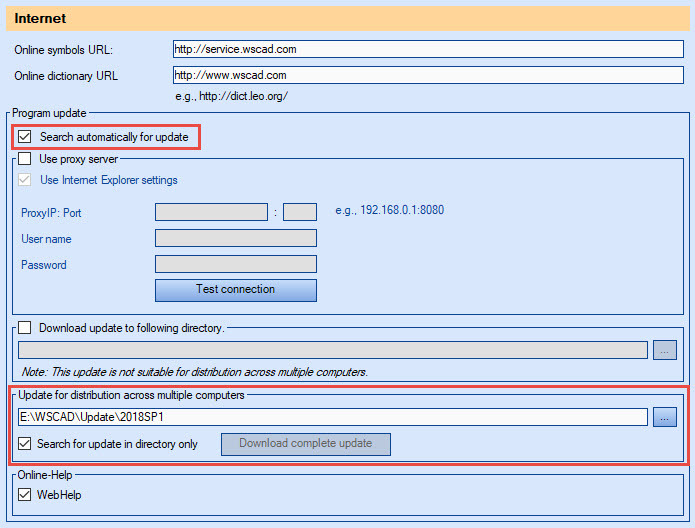 In the WSCAD SUITE, you can specify the network directory under Tools | Settings (options) | Internet in the Update for distribution across multiple computers field and use the Download complete update button to save it in that directory. If the check box Search for update in directory only is selected, the client does not start the update via the Internet, but from this directory. If the check box Search automatically for update is also selected, the update will start automatically on starting the WSCAD SUITE. Once this procedure has been set up on all clients, the system administrator can control which updates may be installed from the client PCs. The network directory must be shared for all client PCs. WSCAD supports Windows Server 2008 and 2012. WSCAD supports Windows SQL Server 2008 and 2014. The data transfer rate in the network should be 1 Gbit/s.